Bangkok, Thailand – Price and guest ratings carry more weight than brand value as key attributes to hotel property selection, according to a new study conducted by Expedia Group, the world’s travel platform with an extensive portfolio of leading travel brands spanning across over 75 countries in 35 languages, and Unabashed Research - showing that independent hotels can more effectively compete today with their branded counterparts. Unsurprisingly, price was by far the most influential driver of hotel selection, as consumers prioritize value above all else when allocating their travel budgets. Promotions and discounts that represent a real value to the customer is an almost guaranteed way to get hotel shoppers’ attention and have them select a property. Guest ratings have a strong influence on consumer selection, with a 72% chance that any consumer will value guest ratings higher than hotel brand, according to the study. In fact, consumers are willing to pay more for higher guest reviews, and considerably more so than for more premium brands. Participants overall were willing to pay more for a hotel with higher guest ratings: 24% more for a 3.9 rated hotel versus a 3.4 rated hotel, and 35% more for a 4.4 rated hotel versus a 3.9 rated hotel. Hotel brand did carry a slight advantage over other attributes, including remodel callouts, room image and hotel ratings (stars), according to the study. Premium brands showed more influence on selection, with shoppers rewarding those brands with some ADR (Average Daily Rate) premium, but not nearly to the extent that superb guest ratings do. Room image, hotel brand, star ratings, guest ratings, recently remodel tags, and price are just a few of the key attributes that shoppers use to select hotels. Remodel tags, room image, and star ratings all had lower importance as individual features on likelihood for selection but can help sway the decision when combined with strong features on other attributes. Although the study was based on U.S. travelers, these insights are crucial for Thai hoteliers as U.S. is the number one feeder market for Thailand according to Expedia Group data. U.S. travelers are also amongst one of the high-value travelers as they spend 15% more on accommodations than the average international travelers. “The research results are telling. As guest ratings carry more weight than brand when it comes to making a booking, hoteliers, especially those independent ones who don’t have huge budgets on marketing, should focus on providing best services to guests during their stay so to gather more positive reviews. 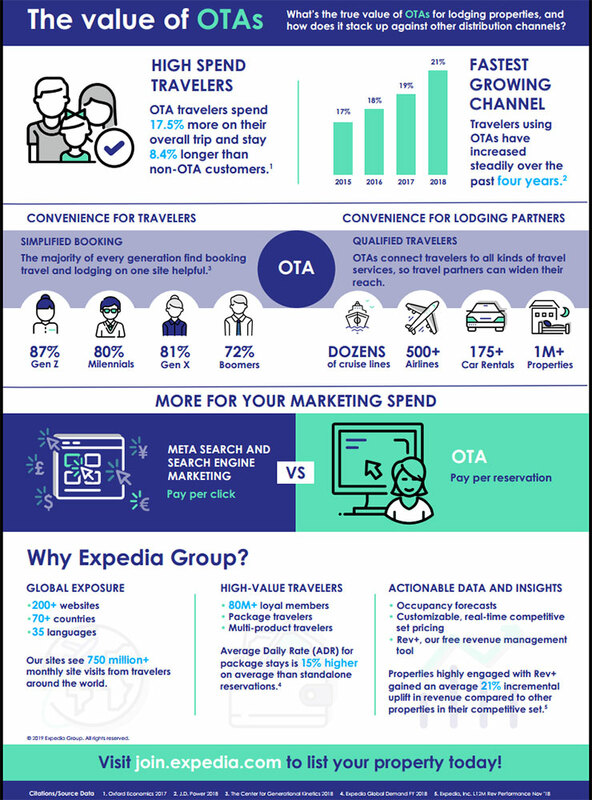 This ultimately help hoteliers increase conversion and drive revenue,” said Pimpawee Nopakitgumjorn, director of market management at Expedia Group. Expedia Group inbound hotel demand data to Thailand from 1st January 2018 to 31st December 2018.